There was a time not too long ago when the south western end of Sydney’s CBD was a ghost town. Sussex Street in particular, on the cusp of Darling Harbour and the city, but capturing the energy of neither. Well, things have definitely changed. 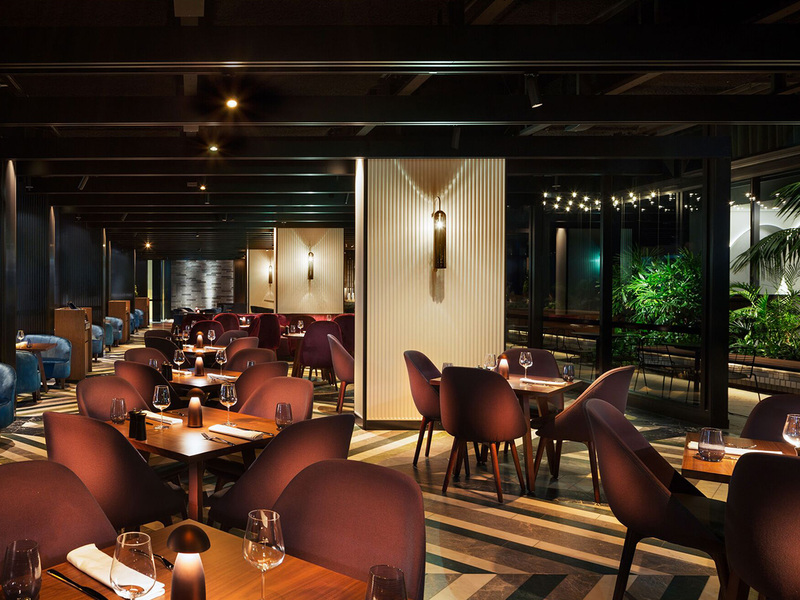 Barangaroo brought in a slew of cutting edge restaurants and crowds of office workers. All that was needed was somewhere to stay. West Hotel Sydney has filled the gap nicely, slotting straight into the ultra on-trend designer feel of Sydney’s newest entertaining precinct. 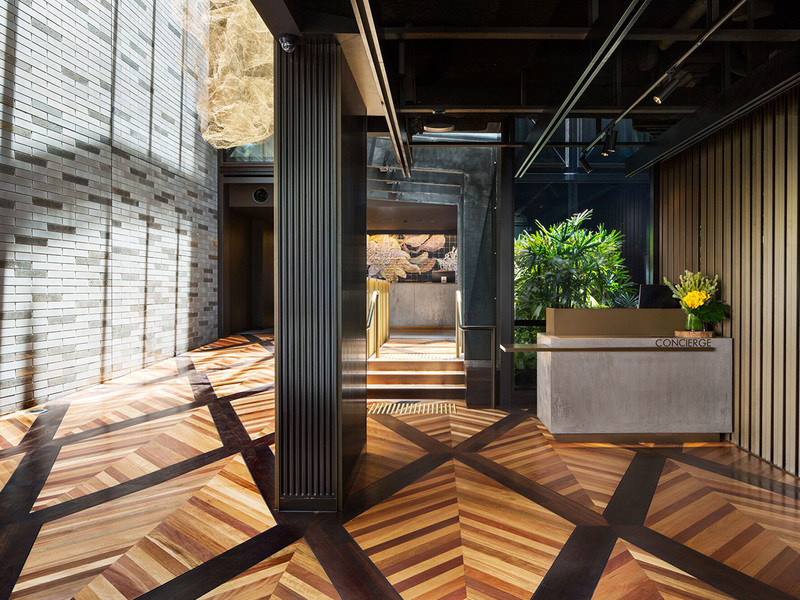 While not actually within Barangaroo, the hotel is just around the corner and hits the spot by providing a sleek, chic spot for both business travellers and tourists to spend the night. The hotel is the first Curio Collection by Hilton to launch in the country. The smaller scale, often boutique hotels are designed for travellers looking for a point of difference. At the West Hotel, it’s all about history, with a strong emphasis on Sydney’s botanical roots. Walk inside the lobby and look up, the glass atrium is filled with a stunning sculptural lighting piece suspended above your head. Sourced by interior designers Woods Bagot, it’s an excellent introduction to the hotel, which is filled with similarly striking pieces. The wall of Waratahs behind the front desk, a motif repeated on the corridor carpets, the Areti bird lamps on the shelves, beautiful black fixtures everywhere and simply decadent aquamarine banquet seats in the Solander Dining Room that are just begging to be occupied. It’s not simple, but it definitely works. The overarching botanical theme continues through to the dining room and bar and are named after Daniel Solander, a Swedish botanist from the First Fleet. As such, Solander’s dining and bar menus focus heavily on fresh produce. The Rose Margarita with housemade rose and violet syrup is already a favourite among the after work crowd while the Nettle Gimlet is a delicate blend of Beefeater gin, housemade nettle leaf cordial and nettle leaf sorbet. Drinks in the leafy garden are a great way to start the evening, before heading inside to the restaurant, where West has lured hotshot chef David Vandenabeele to the kitchen. Chef Vandenabeele brings with him, all the way from New York, a chicken goji berry consommé “tea” that will get your palate primed for an evening of local wine, local produce and sophisticated Modern Australian fare. Dishes like Mandagery Creek Venison sitting atop a rich beetroot risotto, sous vide salmon with garden peas and lemon myrtle and Brooklyn Valley beef fillet with a delicate mustard cake are full of bold flavours. The dining room itself is on the hotel’s ground floor, with windows seats offering good people watching until evening falls. When it comes to a room with a view, Hotel West’s guests either look out at the city or across to Barangaroo. Geometric black feature walls, Bluetooth speakers, free water and snacks, and flat screen TVs with Google Chrome (guests can log into their own online TV subscriptions) make these rooms not only highly functional but rather fabulous. If you’re after a hotel in Sydney, but don’t want to get swept up in the concrete jungle, put Hotel West on your itinerary.